Daily holiday events will entertain our guests in each terminal. 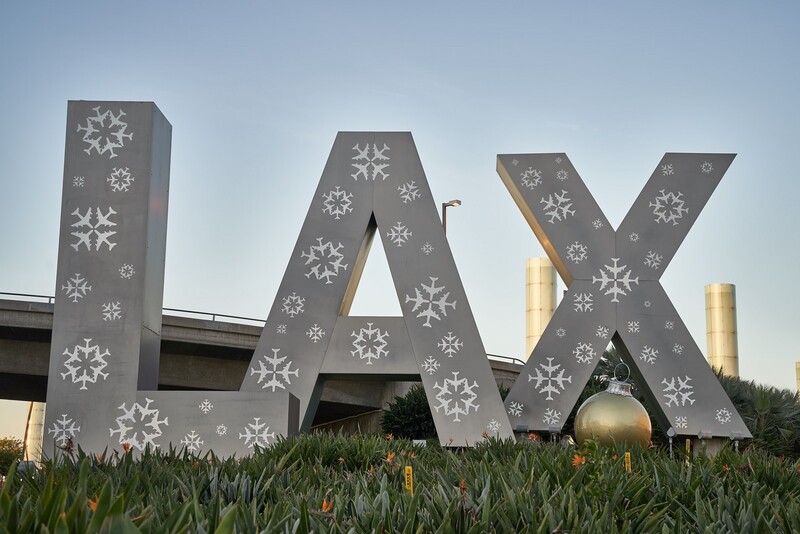 "The holidays are a magical time, filled with family and friends, and we want to make sure that our LAX guests get to experience a bit of that magic while they travel through our airport," said Barbara Yamamoto, Chief Experience Officer, LAWA. "With musical performances, fun activities, extra volunteers and even Santa Claus, we hope that we can add a little extra joy to our guests this winter." For the music lovers and guests who enjoy holiday tunes, our Sounds of the Season performance schedule is sure to captivate crowds. This year, we have invited 10 groups and musical acts who will perform in various terminals at LAX throughout the month. We have compiled a schedule filled with some of Southern California's most talented musical groups, including the Inner City Youth Orchestra, Triple Threat Doo Wop, the Wonderelles, Genesis the Balm and the Westside Ukulele Ensemble. Looking for something fun to do with the kids? Children and their families can enjoy arts and crafts (creating "holiday hangars") during the week of December 19, including spending time with our Pets Unstressing Passengers (PUP) Program Therapy dogs. There will also be holiday-themed selfie stations in Terminals 7 and 8. LAX has also partnered with Delta Airlines to support local children. The holiday event, which will be held at Firehouse 80, will include children from Los Angeles Children's Hospital, P.S. Arts and Normandie Avenue Elementary School. During the event, students will board a Delta aircraft and taxi the airport. Then, they will arrive at the "North Pole" (Firehouse 80) to partake in various activities. After the festivities end, each child will receive a gift from Santa and Mrs. Claus to celebrate the holiday season. Our LAX staffers will also roam our terminals as part of our LAXceptional Care Guest Assistance Program on December 20 and 21. Volunteers will wear black and gold scarves and ties and black pants. They will answer questions and help guests navigate the airport. Another big highlight of our holiday season is the Third Annual Christmas Day visit from Santa Claus. Santa, in all of his splendor, will visit terminal ticketing areas to greet guests and take holiday pictures on December 25. ARE YOU MEDIA INTERESTED IN ATTENDING ANY OF THESE EVENTS? Because most of our holiday events are beyond TSA security screening, media planning to attend any of the events must R.S.V.P. as soon as possible.